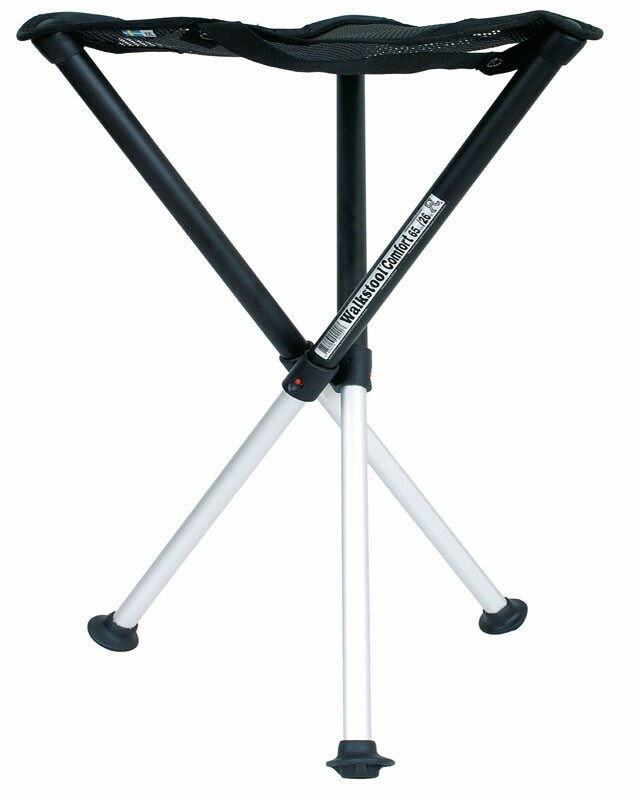 The Walkstool Comfort 65 is one of the only patented three legged stools with telescopic legs in the world! The telescopic legs offer 2 sitting positions.The low position with the legs retracted and normal sitting height with the legs extended. Walkstool Comfort has been tested by the Swedish National Testing and Research Institute and managed a load (pressure) of 250kg. Walkstool, the stool that walks. The stool that follows you wherever you go and isn't too big to carry in your bag. The stool that simply folds away. Extend the legs and fold it out. It's stable just about anywhere.